CAPTAIN AMERICA 2 Will Be Set In The Modern Day | Birth.Movies.Death. But does that rule out flashbacks to WWII? The second installment will pick-up where the highly anticipated Marvel’s The Avengers (May 4, 2012) leaves off, as Steve Rogers continues his affiliation with Nick Fury and S.H.I.E.L.D and struggles to embrace his role in the modern world. Boo! 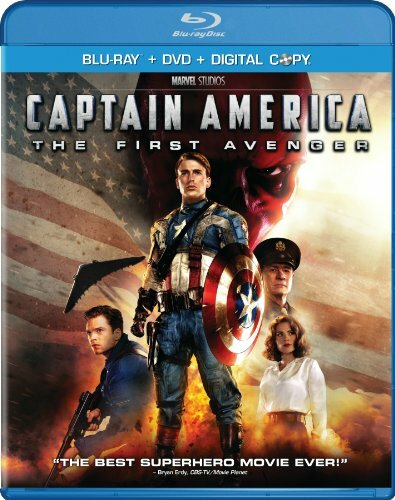 What I liked about Captain America was the period setting; having a movie like this in WWII was unique and interesting and lent the film a vibe that set it apart from a lot of the other Marvel movies. And the film skipped a huge chunk of Cap's career, leaving plenty of space for further adventures. I'm less interested in Captain America reacting to the internet or 3D movies. That said perhaps this sequel will use the methodology of Ed Brubaker's Cap comics, which weaves flashbacks to WWII with modern day stories. The modern threats often have their genesis in the war, and that could be how Captain America 2 does it as well. We can hope.